The family of a pregnant woman who died on Sunday night has alleged that a doctor in Darjeeling district hospital refused to treat her, saying she was not his patient. Mona Sundas, 30, was admitted on Sunday morning to the hospital. She died the same night. Doctor Samir Sharma, whom Mona's mother-in-law has named in the police complaint, has denied the allegation that he did not treat her. Bivana Thapa, a relative of the deceased, said: "My sister was admitted to the hospital around 5am. Her blood pressure was very high. However, doctor Samir Sharma came to the hospital around 11.45am. He said everything was normal and the baby too was in the right position. When we asked him what should be done, he said my sister was not his patient and the doctor under whom she was admitted would do the needful." 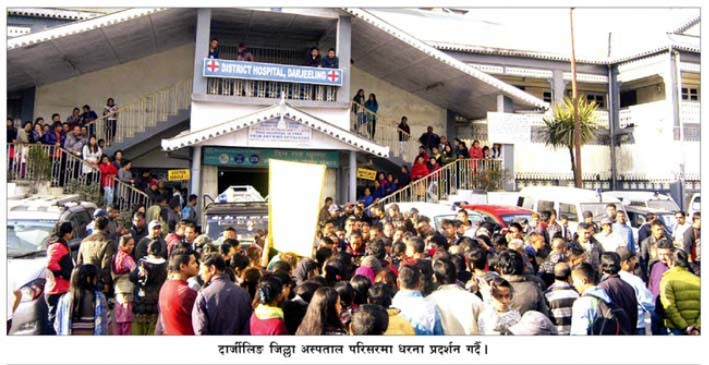 The family of a pregnant woman who died on Sunday night has alleged that a doctor in Darjeeling district hospital refused to treat her, saying she was not his patient. Mona Sundas, 30, was admitted on Sunday morning to the hospital.